scored well on previous Cato reports, and she receives the highest score on this report. 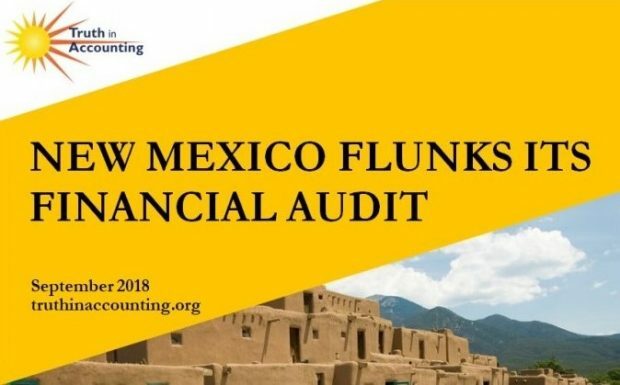 Martinez has a reputation for vetoing wasteful spending, and she has kept New Mexico’s general fund budget flat in recent years. 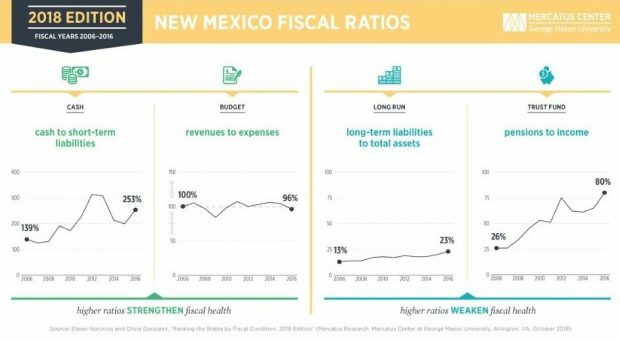 On taxes, Martinez has pursued reforms to make New Mexico more competitive, including cutting the state’s corporate tax rate. In recent years, stagnant tax revenues from the oil industry have made balancing the state budget a challenge, but Martinez has held firm against tax increases proposed by the legislature. In 2017, she vetoed bills that would have increased taxes by $350 million a year. Susana Martinez bears some blame for New Mexico’s long-term fiscal peril, and one wonders why in eight years, she wasn’t able to get her Department of Finance and Administration to issue CAFRs on time. But far more opprobrium is warranted for the legislature, which for decades has been wildly irresponsible with taxpayers’ money. Spendthrift “education” policies (from preschool to Ph.D.), ineffective and unaccountable corporate-welfare programs, lavish compensation for “public” employees — these and other bipartisan missteps, boondoggles, and incumbent-protection schemes have put the state on an unsustainable fiscal path. A reckoning is coming, and it won’t be pretty.